Winter is approaching and this is the season of dry skin and chapped lips!! The cold air is so draining to our skin, taking away all of the moisture and leaving us looking ashy and pale!! 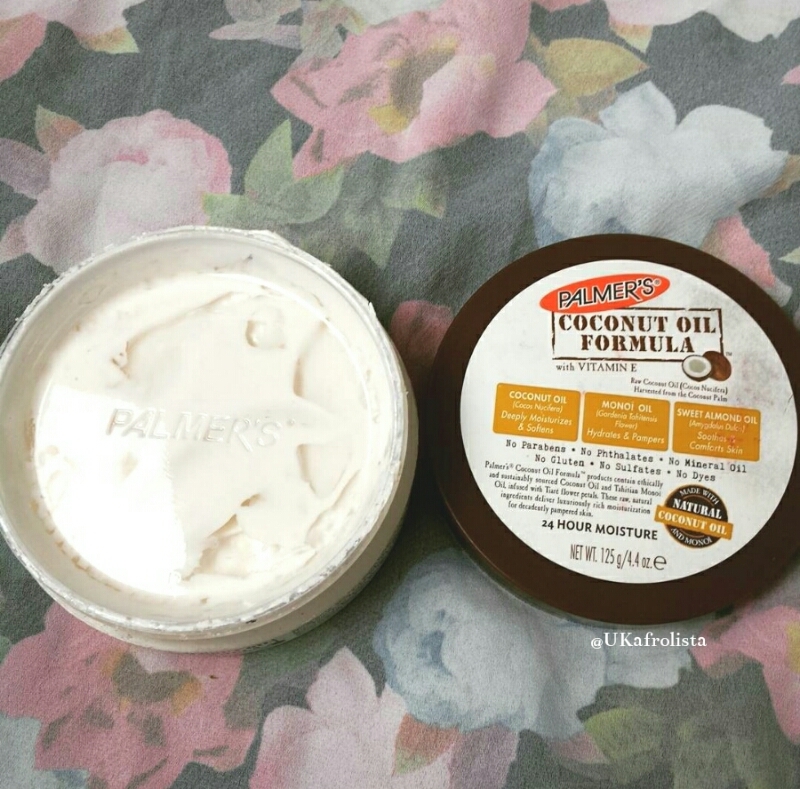 Well, I have been playing around with four products from the Palmer's Coconut Oil Formula range to see if they can keep my skin moistured, hydrated,supple,glowy and ash free!! 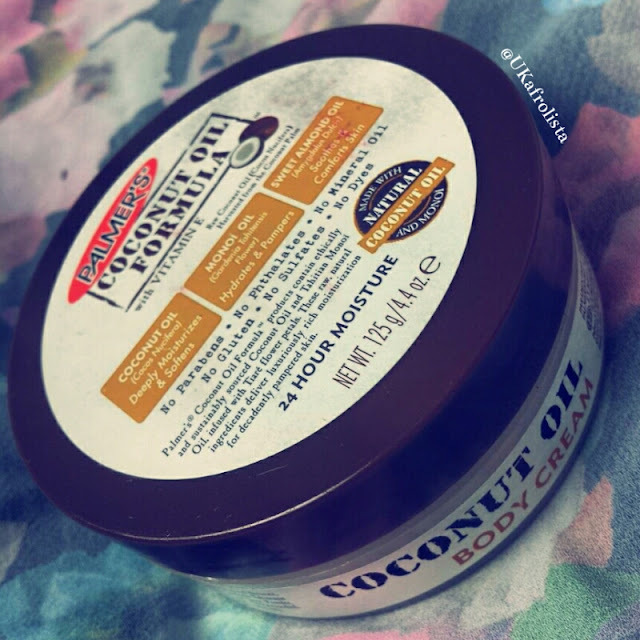 We all know Coconut oil is the oil of wonders! It can be used for everythang and everywhere!! 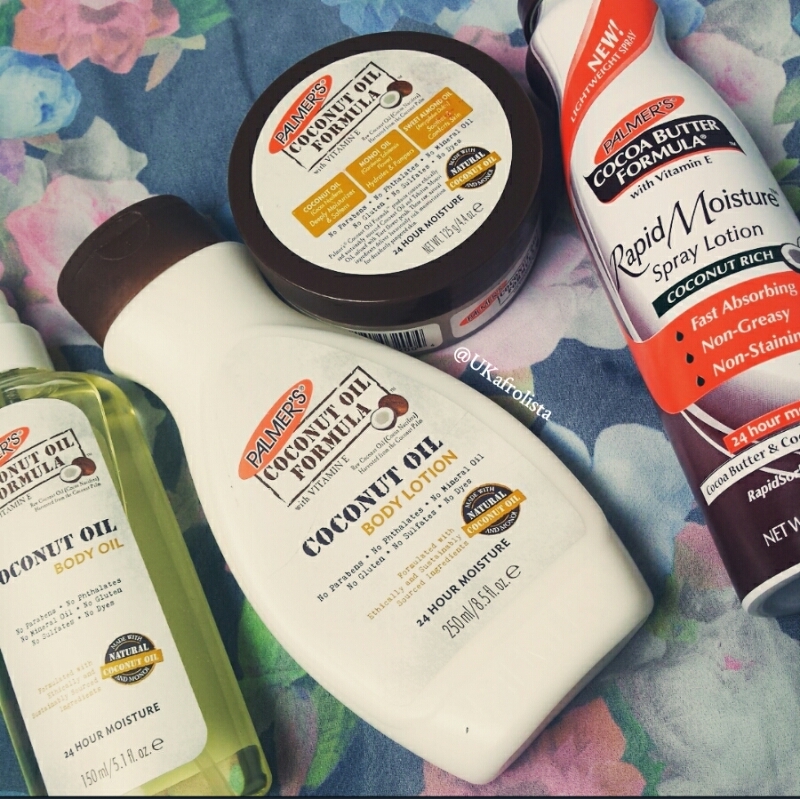 The great thing about these products is that they all serve a different purpose and work better on some body parts than others. They also contain no parabens, no phtalates (a salt or ester of phthalic acid), no dyes, no sulfates, no mineral oil and no gluten. AND the products are rich with Vitamin E. Why is that a good thing? The health benefits of vitamin E come from its antioxidant properties. Antioxidants remove free radicals — the unstable compounds that damage the cell structure. Immunity levels improve when vitamin E is consumed. Another important benefit of vitamin E is that it reduces cholesterol and the risk of developing cancer. Owing to its antioxidant properties, vitamin E promotes the circulation of blood to the scalp. Vitamin E helps alleviate fatigue and strengthen capillary walls while nourishing the cells. These oils are also ethically sourced which is a plus! 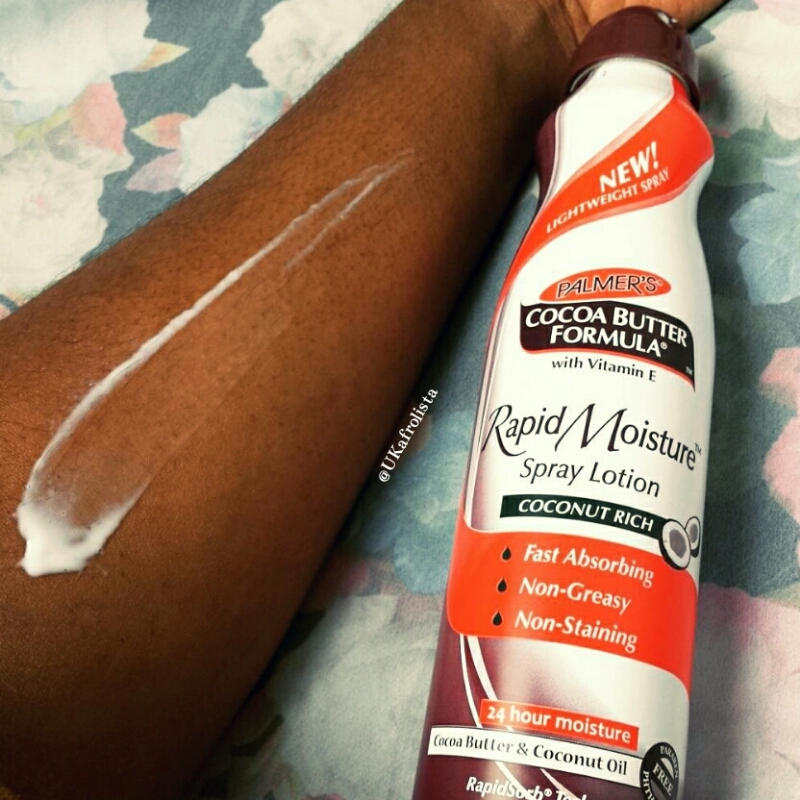 The Rapid Moisture Spray Lotion is the perfect choice for those on the go...there is no digging or scooping needed. You spray and rub. My sister loves this lotion, she literally would come in my room, spray her skin and rub it in as she left! This is perfect for the warmer months as the consistency is very light but yet moisturising. The Coconut oil Body Oil, is one of my favourites out of the bunch. 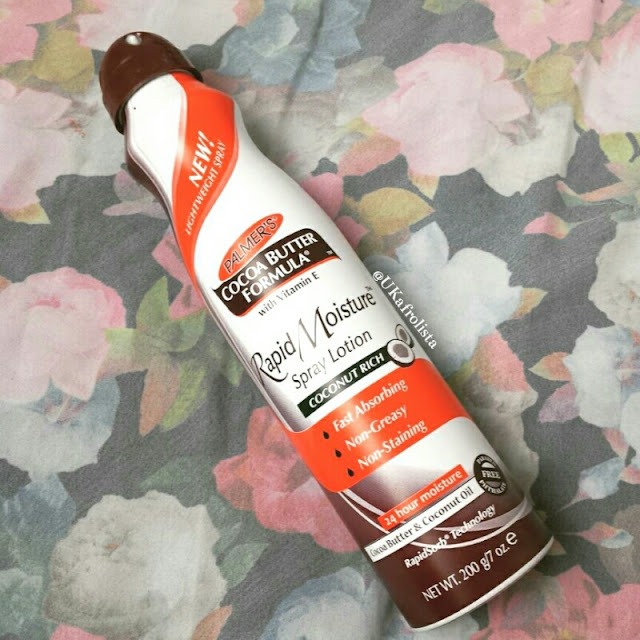 It is very light,easy to apply and it doesn't leave your skin greasy! 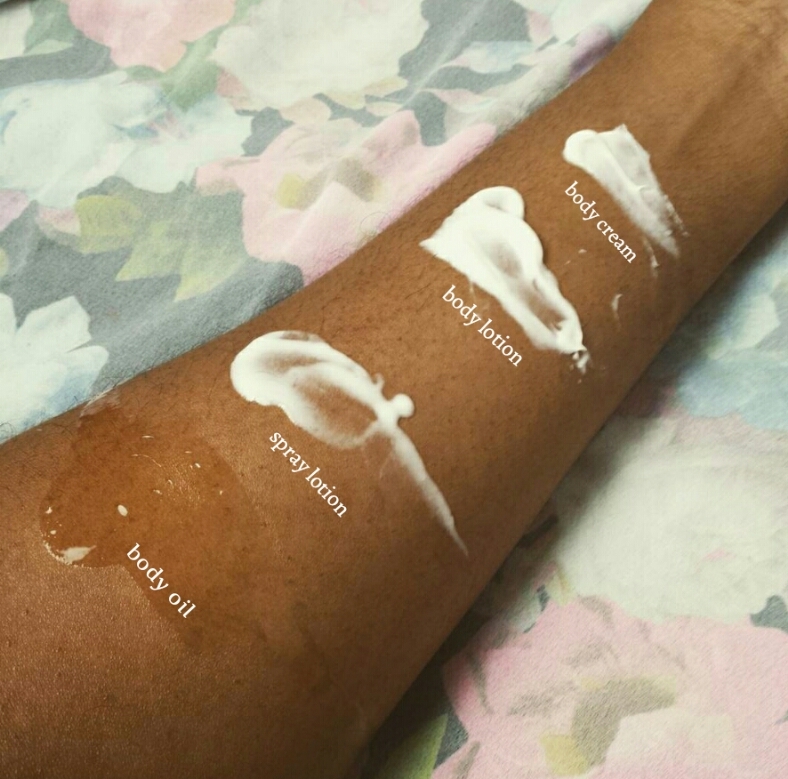 Some body oils I have used in the past leave your skin more greasy than moisturised,which is annoying as heck!! 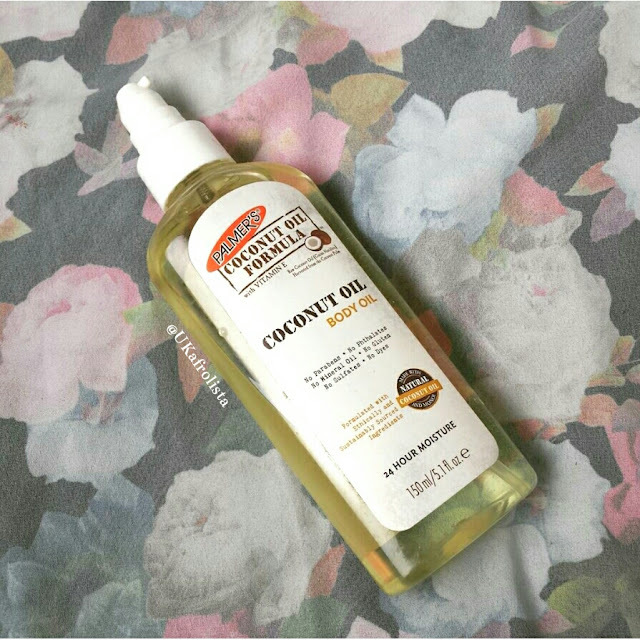 This body oil is perfect for night outs, as it leaves your skin with a glow and doesn't stain your clothing. I love how it leaves my skin soft and supple. 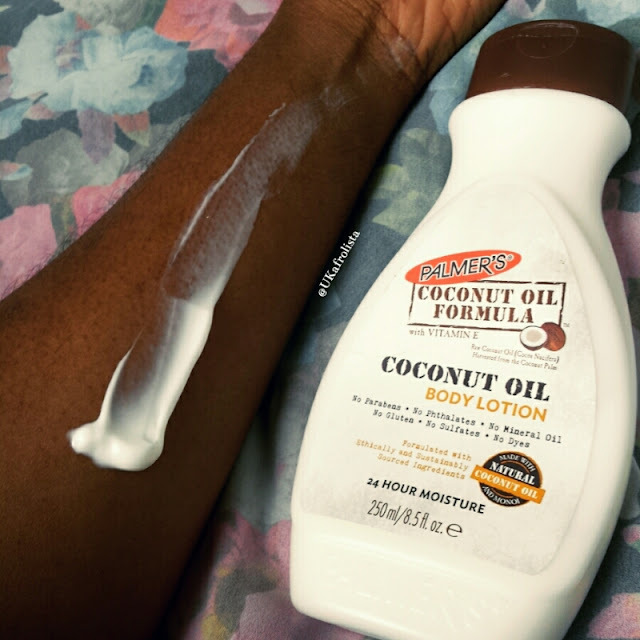 The body cream is the thickiest out of the group, it is great for dry skin. Those days when you feel like your skin is drier than the desert, this is your go-to cream. 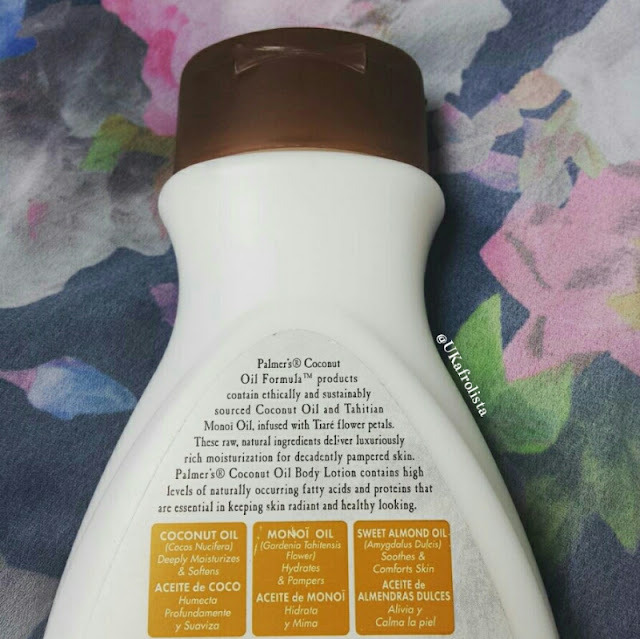 I use it especially on my feet and legs as they are the driest parts of my body. A little goes a long way, too much and you will be rubbing for years!! 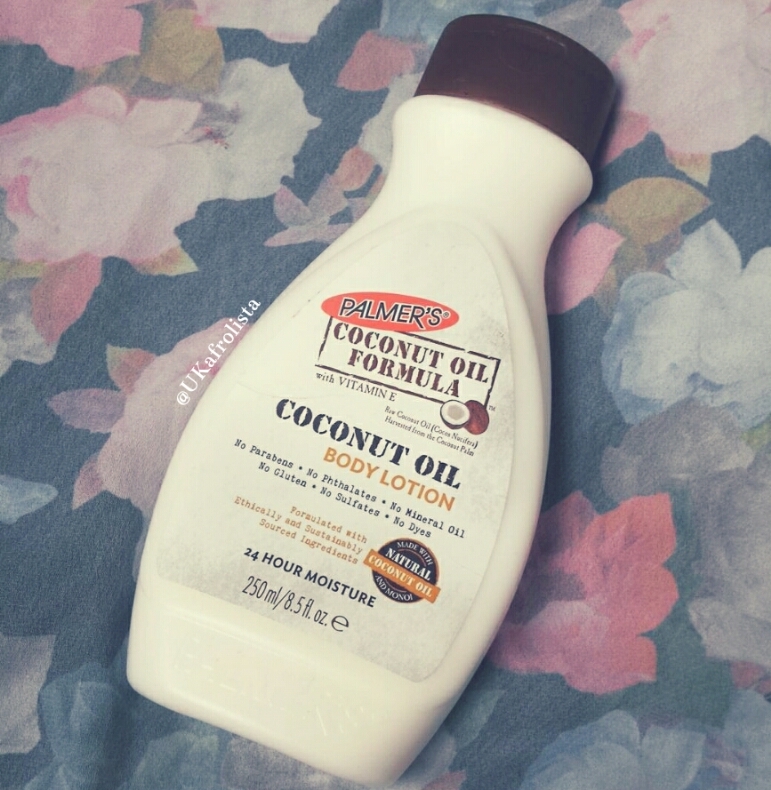 The Coconut Oil Body Lotion is the creamiest of them all. 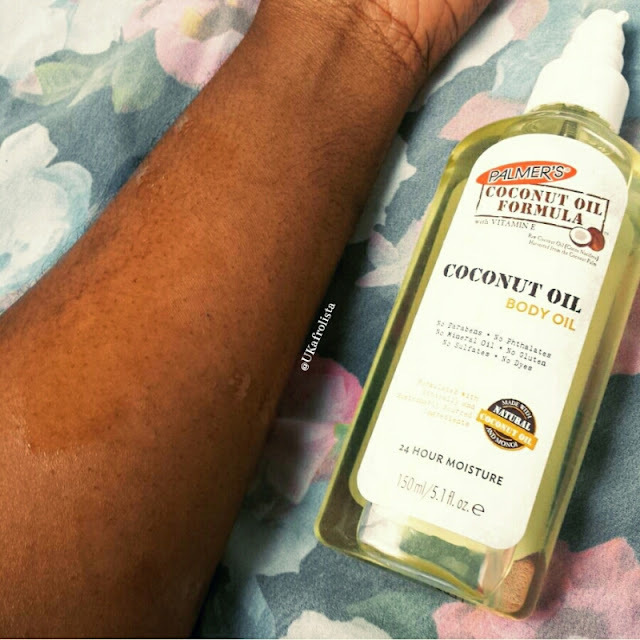 This lotion is great for everyday use throughout the seasons as the consistency provides enough moisture to keep your skin soft for the whole day. 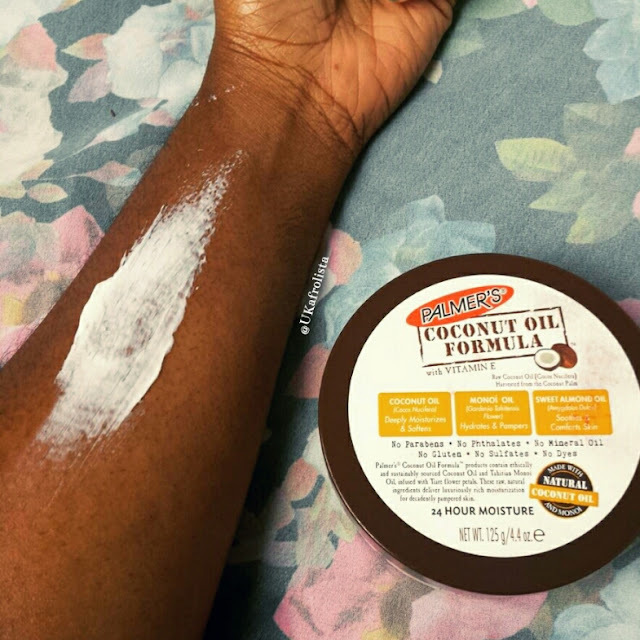 I wouldn't use it during the winter months as much as the summer months, because the thickness of the body cream provides more moisture for me. There is also a hand cream in the range which I will be purchasing to put in my hand bag, because I am pleased with these products. I know for sure you won't catch me with ashy skin this winter!! 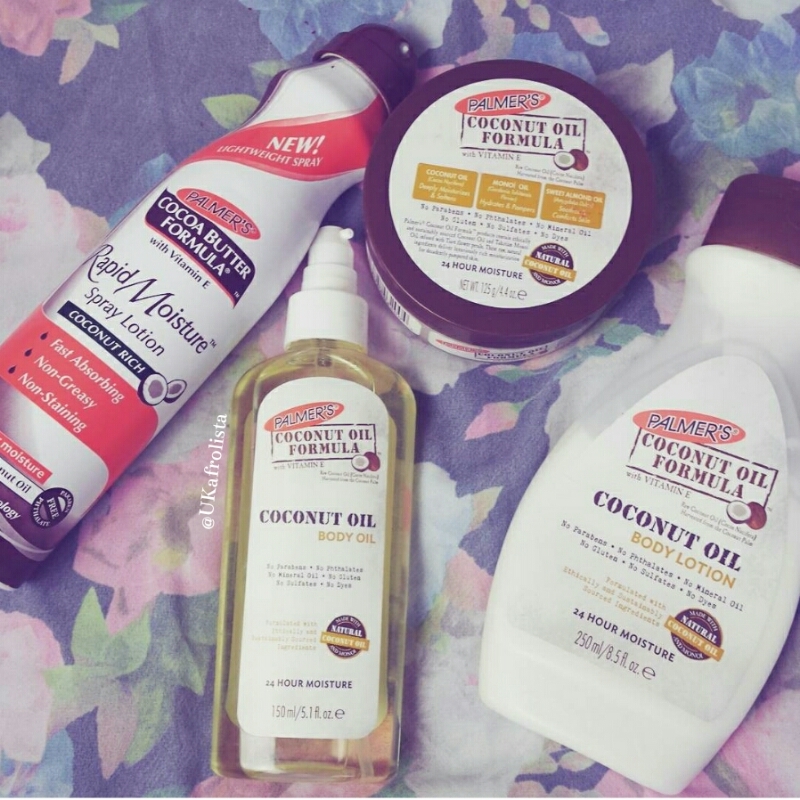 Have you tried any of the products from the Palmer's Coconut Oil Formula range? If so, which is your favourite?